“See Dad Run” star Ryan Newman: The truth of being a Hollywood teen – Live! Starring ... You! 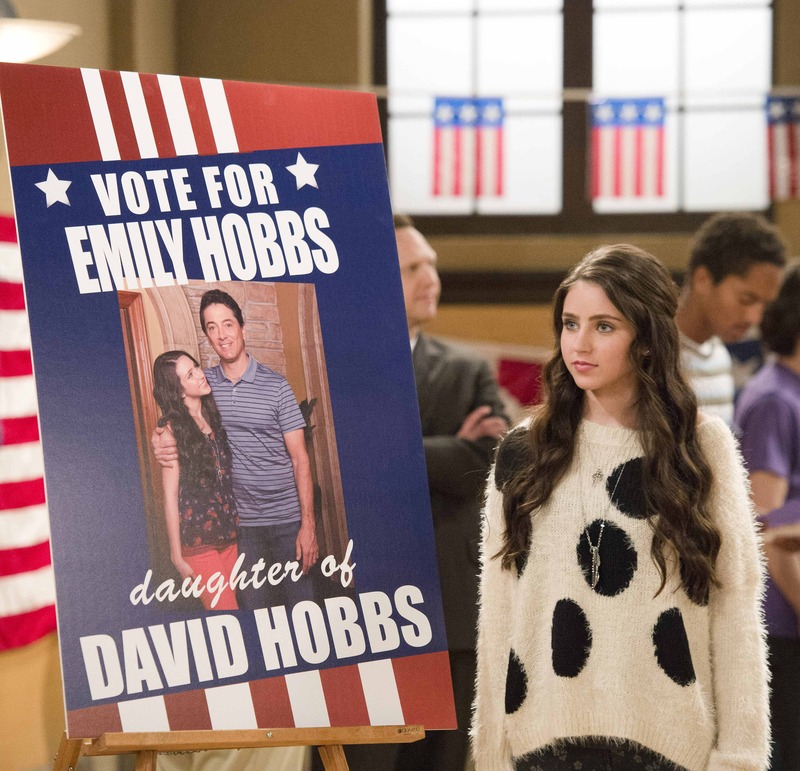 Ryan Newman has the type of job that millions of teenagers want: The 15-year-old actress is a TV star, playing Emily Hobbs on the Nick at Nite show See Dad Run. Being a regular kid as much as possible is important to Ryan, who told us she doesn’t feel “famous.” But she’ll easily admit that having the power to simply smile at someone and brighten their day is something she loves. Do people treat you differently because you’re famous? Ryan: I don’t consider myself famous. But the answer is yes, absolutely. When they don’t really know me, they think, Yes, she is famous. Then they get to know me and see that I’m just like them. I just am really lucky that I get to do what I love to do. What’s the biggest difference between you and other kids your age? Ryan: Probably the experiences that I’ve had. I’ve been acting since I was 3, so I’ve been in the industry for a long time. That’s the only difference. I mean, I’m a normal kid. I went to school last year and I have all my regular friends and I’m still a part of my high school. You still go to a regular high school? Ryan: I am actually doing a homeschooling program but it lets me be a part of my high school. I still have a school ID that lets me go on campus and go to the dances. I still have a high school experience. So you still have a lot of friends who are regular kids, not on TV? How important is it for you to maintain relationships with people who aren’t part of the entertainment industry? Ryan: It’s everything. It keeps me grounded and it keeps me still having a childhood and a regular life. I was so glad I went back to school last year. I gained so many experiences that I should have as a teenager. I made a lot of friends and I kept them. Ryan: When I was about two-and-a-half, I started begging my parents to let me act. I would see people my age on TV and wanted to do it. Those people inspired me. I would just point at the TV and say, “I do that!” I was seriously persistent. Finally my mom said, “Fine!” Obviously it wasn’t just a phase – I kept asking. I got headshots and I found an agent and I started with print and modeling and then eventually went into commercials and then movies and TV. But I started taking acting classes right away and training and getting experience. What are some of the biggest misconceptions people have about your life? Ryan: Everyone thinks it is so glamorous, and its not. It’s what I love to do, but it’s work, it’s energy, it’s time, it’s effort. You’re standing there in the freezing cold and doing a scene that’s supposed to be in the rain. You’re dressed in summer clothes in the dead of winter, filming. You’re put in a lot of situations and I love it. It’s what I live for. But everyone thinks its so glamorous, and its not. Ryan: It’s my passion. I love doing. It’s so rewarding to see your work and have other people see your work. I love doing it. I wouldn’t even care if no one saw it — it’s just a big bonus that people get to see it. I just love working. I love being on set. Has there ever been a time when you wanted to give up? Ryan Newman has been acting since age 3. Ryan: No. There has definitely been a lot of rejection in this industry and it can be hard. But my mom is always there for me for support and to help point out the good and how lucky I am. I’ve definitely been sad and upset. But I’ve never wanted to give up. I know I probably couldn’t live without it. What’s it like having fans? Ryan: I love being able to make people’s day. I love making them smile. When I talk to them, they get really excited. I love being able to do that. What are the important steps for a person who wants to achieve the goal of becoming a professional actor? Ryan: Preparation. Go to acting classes, get experience, do your school plays. Make sure you love it before you give up everything to do it. You have a lot to learn before you start. Click here to read more about Ryan Newman in Tim’s Friday Fame Tips.